How would you rate your experience with HomeAdvisor ? HomeAdvisor was founded in 1998 by Rodney Rice and Michael Beaudoin, the same friends who founded Einstein Brothers Bagels. 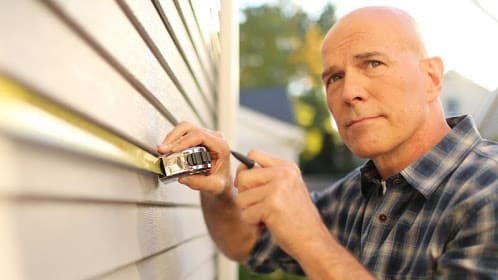 The company, originally named ServiceMagic, is an online marketplace that connects homeowners with prescreened, local service professionals to complete home improvement, maintenance and remodeling projects. The company name was changed to HomeAdvisor in October of 2012. By early 2015, the company had achieved more than $300 million in annual revenue, was used by more than 30 million homeowners, had nearly 100,000 pre-screened service professionals in its network and almost 3 million verified reviews. This same year, the company offered a service called “Instant Booking” where homeowners could make appointments directly with service professionals. Later, the company allowed this same appointment service to used via Facebook. In 2016, the company acquired the German home services company, MyHammer. In 2017, HomeAdvisor acquired Canada’s leading home services company, HomeStars, and MyBuilder, the UK’s leading home services platform connecting homeowners and tradesmen. 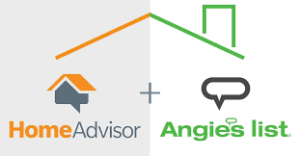 In October of 2017, the company announced that their parent company, IAC, had also acquired Angie’s List and that these two companies would be combined to make one larger company, called ANGI Homeservices, Inc. This new corporation will be the largest digital marketplace for home services in the world. Currently, the corporate office for HomeAdvisor is still located in Golden, Colorado. A spokesperson for the company has not said if they plan to move or to incorporate both corporate offices for HomeAdvisor and Angie’s List. Question 1: What is the phone number for HomeAdvisor? Answer 1: The phone number for HomeAdvisor is (303) 963-7200. Question 2: Who is the CEO of HomeAdvisor? Answer 2: The CEO of HomeAdvisor is Chris Terrill. Question 3: Who founded HomeAdvisor? Answer 3: HomeAdvisor was founded by Rodney Rice and Michael Beaudoin in 1998. As a prospective new business, I recently had two conversations with one of you sales reps regarding the possible use of Home Advisor as lead resource. The first call he initiated, the second call I made to confirm the information that I was given during the first conversation. We made it all of the way through the second call to the point where he was summarizing the service agreement when, for the first time, he added the monthly lead cap cost requirement. When I hesitated, your rep offered to send me contacts to help promote Home Advisor and to convince me to signup. After reconsidering the Home Advisor program and the fact I have just launched my business, I decided NOT to use Home Advisor at this time. I informed your rep of my decision by Email and thanked him for his time and effort. I also briefly provided the reason for my decision. I received a quick response from your rep in the form of an Email in which he questioned my decision, made it clear he was not happy about the time he spent trying to sell your program and then coming up empty and then questioned me regarding contact with the references he provided. While he may have been within his rights to be disappointed, I do not appreciate being question or criticized regarding my decision to use or not use any outside service provider. Please let me make this perfecting clear to Home Advisor, this is my business, not Home Advisors and as such, I make the decisions about my business. While future consideration of Home Advisor as an option was still on the table prior to your reps last Email. it is not any longer and I will do everything I can to steer people away form your service in the future. Many of you would probably agree that Home Advisor is a reliable referral service. But no matter what undertaking you may have I was led by them to a RIP OFF concrete contactor. Yep, you read it right. Now, hopefully you will get it right. One that wanted $16,200.00 to concrete 1500 square feet for a walk and driveway project. This is one that are listed “A” rated by the BBB. Yep folks UHL Stonework and Epoxy Floors LLC, 6608 Wateroak Willow Spring, NC 27542: (919) 495-0193 wanted $16,200.00! Now let’s do the math here. Ready Mix concrete for 16 yards =$2,562.00 for 3500 psi. The average contractor high end would be $5,700.00 and this is one that has been a professional for 33 years. YOU READ IT RIGHT, 33 years plus. THEY are taking advantage of small contractors.. they SEND fraudulent Leads. to several contractors.. either they paid or none even contacted them for service its a SCAM… the did same to me… US district attorney told me file complaint with FBI… we need all stand up to GET them out of the scam BUSINESS!!!! CALL your local FBI office. report them and sending fraudulent leads… Stand UP. I AM 65 YEARS OLD AND YOUR COMPANY HAS TAKEN ADVANTAGE OF ME. I CLOSED THE BUSINESS DOWN IN NOVEMBER 1, 2018 AND THEN I GET A FINAL NOTICE ON JANUARY 15, 2019 AND SAID I OWE HOMEADVISOR 1654.00 WHICH I DID NOT HAVE. FOR THREE DAYS I WAS TOLD MY ACCOUNT WAS CLOSED AND CANCELLED BY THREE PERSON, RENEE, ALEX AND MOLLY. I AM STILL GETTING PHONES CALLS AND I DID NOT OWE THAT MONEY BECAUSE WE DID NOT DO ANYWORK AND CLOSED OUR BUSINESS DOWN. THIS COMPANY I HAVE FOUND OUT THAT YOU HAVE ALOT OF COMPLAINTS AND I AM GOING TO TURN YOU OVER TO THE BBB BECAUSE I SEE THEY HAVE HAD THIS YEAR 1764 COMPLAINTS AND HAVE TAKEN CARE OF ABOUT HALF. I AM NOT THROUGH YET BECAUSE I AM GOING TO CONTACT CHANEL 5 NEWS IN NASHVILLE AND TELL THEM MY STORY. YOUR COMPANY WOULD NOT SEND ME A LETTER OR CONFIRMATION NUMBER TO SHOW THAT THIS ACCOUNT HAD BEEN CLOSED WHICH FOR THREE DAYS I HAVE BEEN TOLD IT WAS. WHAT A JOKE THIS IS. I HOPE THAT YOUR CORPORATE OFFICE CAN TAKE CARE OF THIS IMMEDIATELY OR I WILL HAVE TO TAKE ACTIONS ESLE WHERE. Want to make sure HomeAdvisor sees your comment or complaint?